Atlantis has an underwater viewing platform with stools and portholes. Running these daily trips, George has a fantastic insider’s knowledge of the flora and fauna of the coral reefs off Paphos. He takes you out a short distance off-shore to an area of sea grass favoured by turtles. The surprise for me was the size of the larger ones… fully grown they approach a metre in length, although the younger ones are considerably smaller. There are no guarantees, of course, but if you follow George’s Atlantis Facebook page, you will discover that you would be extremely unlucky not to see any. 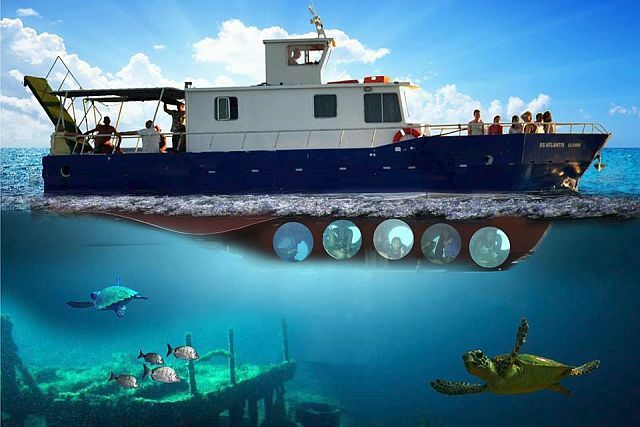 And there are plenty of other sights to savour – enormous stingrays, an amazing variety of colourful fish, beautiful coral reefs and encrusted shipwrecks. On the way home, George drops anchor to allow you to enjoy a refreshing sunset swim off the boat. 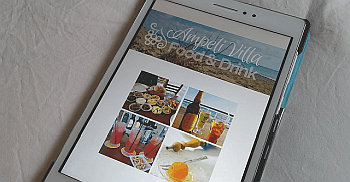 (Book on +357 9666 1737 or via Facebook message). Off the beaten track in the protected Akamas Nature Reserve, Lara Bay has the island’s main turtle beach; home to both loggerhead and green turtle nests. If you visit this unspoilt long stretch of golden sandy beach in summer, you will see hundreds of cages protecting nests from predators. Sun loungers and parasols are not allowed on the beach, lest they damage hidden nests. There is a Turtle Rescue Centre, but be aware this is primarily for conservation, rather than visitors. The two huts on the beach contain interesting information boards about the turtles, and rescue tanks… Sometimes there are baby hatchlings being nurtured to strength in the tanks, but equally there are also times when they are empty. While this is a positive thing – meaning there are currently no baby turtles in need of support, it can be disappointing for visitors, especially children. The easiest way to get there is to book a jeep safari or hire a 4×4 or quad bike to reach the beach, as it’s approached via a rutted and rocky unmade road. If you’re visiting in a normal hire car, you can park in the car park 200 metres beyond the end of the tarmac road, and continue on foot. The Turtle Rescue Centre is a mile further north, so make sure you’re prepared with good footwear, hat, water and sunscreen. To find it, continue beyond Lara Café, and when you see a sign pointing right to Ineia, take the track opposite onto the beach. 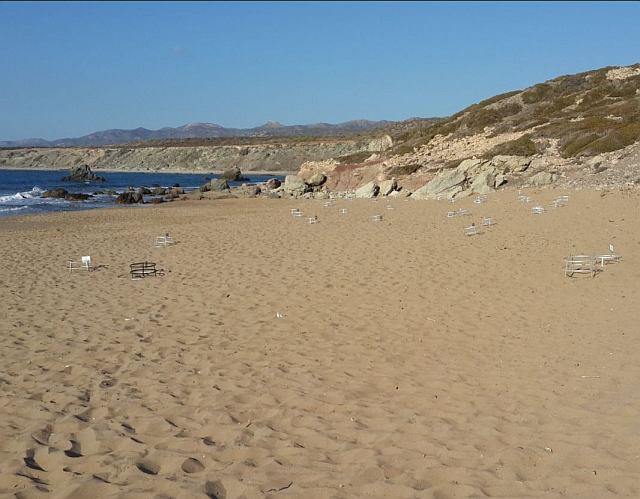 Every summer mature female turtles that hatched here many years previously return to Pissouri beach to nest. Members of Pissouri Turtlewatch patrol the beach in the early mornings looking for tell-tale tracks, so that they can place protective cages over the nests to keep them safe. Once a nest has been established, the countdown to the exciting hatching begins. The next task for the dedicated volunteers is an overnight vigil (as nests can hatch out any time from dusk till dawn). If mother nature has arranged everything right, this will be on the night of a full moon to help them navigate towards the moonlit water. 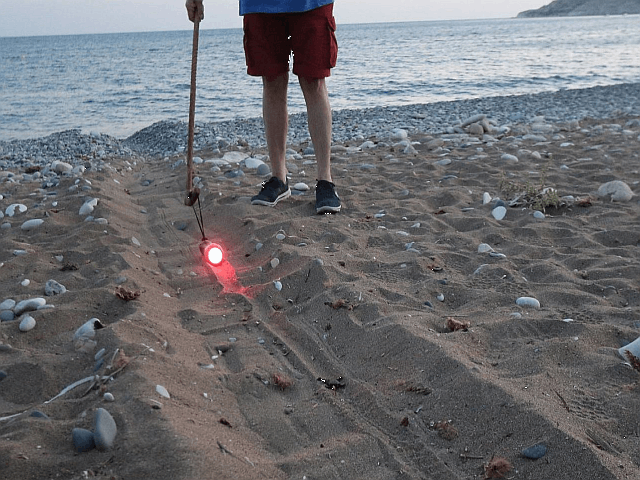 Failing that Pissouri Turtlewatch use special red-filtered torches which provide a safe soft light to guide the hatchlings seawards. At this stage every effort is made to avoid picking up or even touching the tiny babies, as this can interfere with the development of their strength and navigational imprinting. Turtles are endangered and protected by law, with the odds of surviving to adulthood staggeringly low. Occasionally things go wrong, leaving the mother turtle or the hatchlings stranded on the beach in daylight when they are obviously at their most vulnerable. 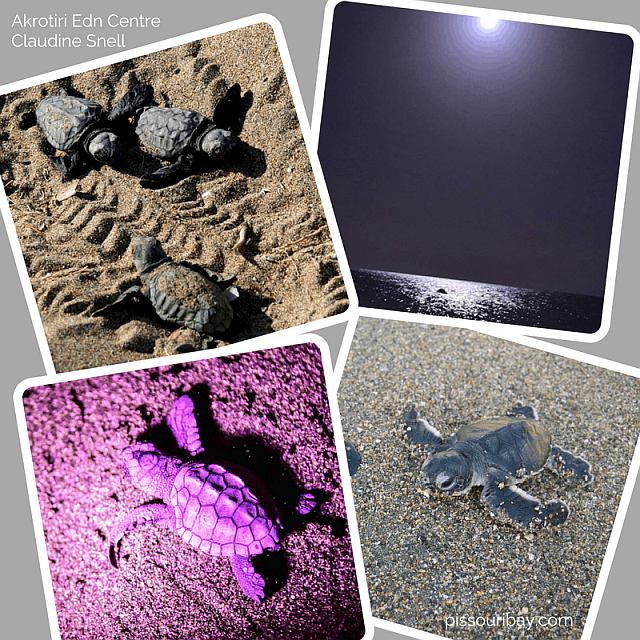 In that event, or if you find an injured, distressed or dead turtle, support is available from: Pissouri Turtlewatch (Jimmy +357 9946 2308), or Akrotiri Environmental Education Centre& (+357 2582 6562), or The Oceanic Institute of the University of Cyprus (24/7 helpline +357 9695 2929). In the meantime, the expert advice is to keep well back, stay quiet, and try to leave them alone, only interfering as a last resort. Removing large pebbles and creating an obstacle-free path directly to the sea can be helpful for the tiny hatchlings. During daylight there is no problem with taking photos and videos, as long as you ensure the flash is turned off. 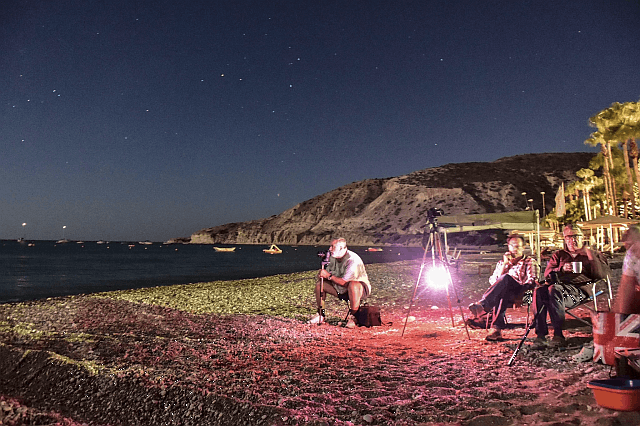 Many thanks to Chris Price and Claudine Snell of Pissouri Turtlewatch for permission to use their lovely photos.